The new MacBook Air from Apple may be one of the thinnest notebooks on the market, but don't let its size full you— it's a fortress, an impenetrable laptop designed to discourage user modifications, just like the Apple iPad. So, if you were thinking about upgrading your RAM, you're in for a surprise, because you can't— it's soldered directly to the logic board. 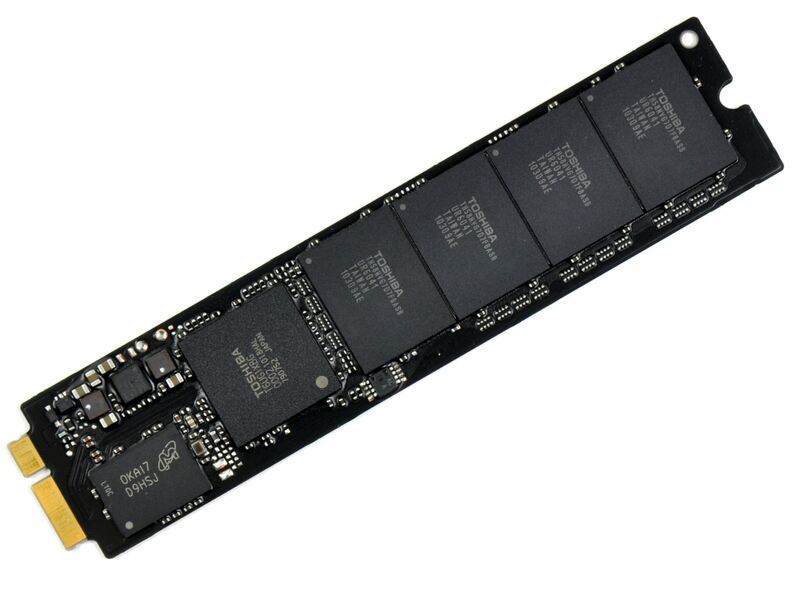 Also, in lieu of a standard hard drive, there's a flash storage board with a solid state drive (SSD) controller, which is a completely custom part by Toshiba, probably only available from Apple Support. 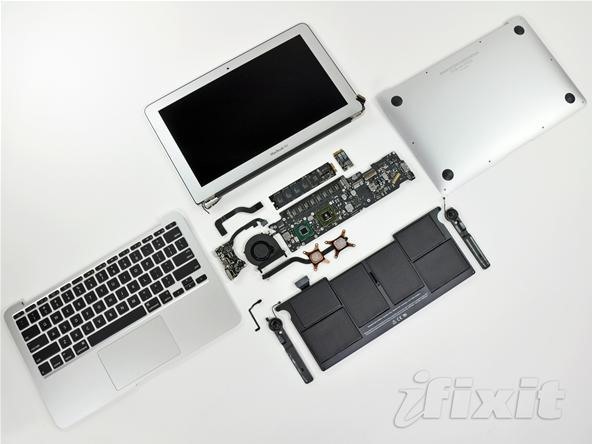 But iFixit warns that "All the components -- including RAM and hard drive -- are proprietary, meaning that no off-the-shelf parts will work in it without serious rigging." (1) Removing the 64GB flash storage board from the logic board. (2) The SSD unit by Toshiba. (3) Removing the wireless board. 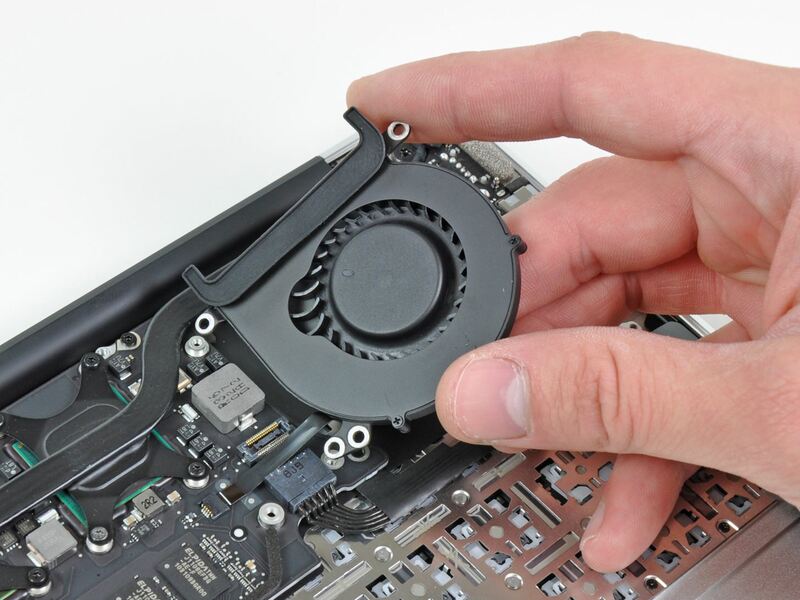 (4) Removing the fan. (5) Removing the speakers. (6) Removing the display. They've also given this a score of 4/10, 10 being the easiest to disassemble, 1 being the hardest. 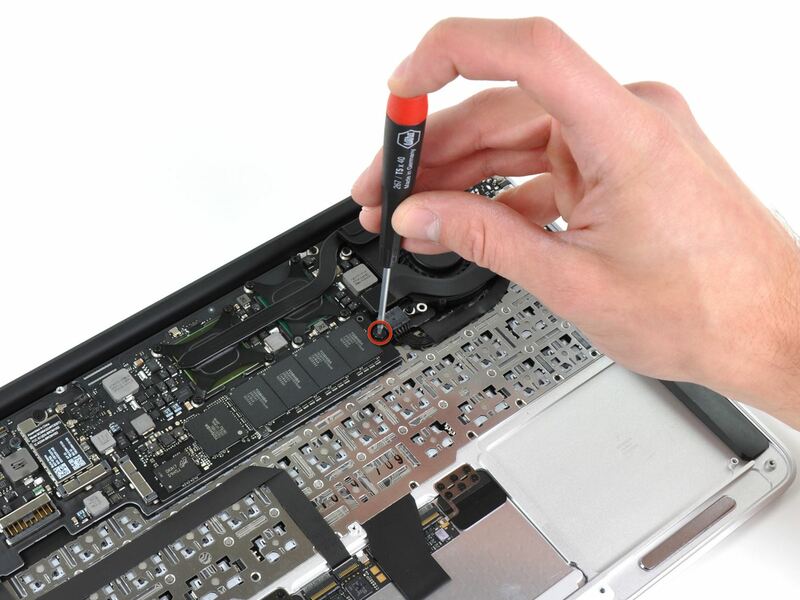 "Opening the bottom cover is quite difficult if you don't have the right screwdriver. It's clear that Apple didn't want people to open their machine." 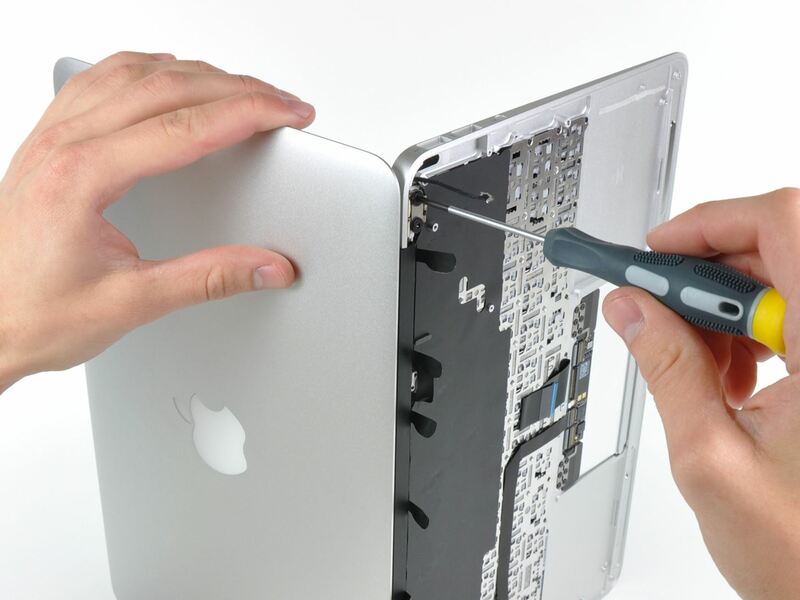 Click through to see the complete teardown for the new 11" MacBook Air, Model A1370.